This Veterans Memorial is dedicated to the soldiers from Highland Park, Illinois, who served and perished in the wars throughout American history. It is a place to contemplate and remember those who sacrificed their lives for a greater cause. 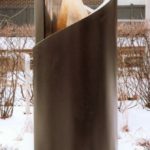 The monument depicts the dichotomy between war and peace and the ultimate sacrifice required for freedom. The abstract granite wing and swirling lines of the nebula symbolize the strength of our nation and are meant to embrace and comfort. They reflect the beginning of the universe and also display the infinite nature of our souls. At the center of the plaza is a poem describing the meaning of “Freedom’s Sacrifice”. Emanating outward are six bronze medallions representing branches of the armed forces. On the interior of the wing is a large laser-etched image of a mother reaching for her son (a soldier) who departs for war…never to return. Eight-five names of those who perished will also be inscribed into the highly polished black granite. 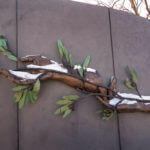 On the exterior are 10’ wide bronze hands offering the olive branch in peace…always hoping for a better future. 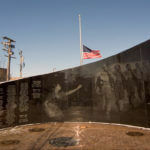 This is to honor all of the veterans from the city of Highland Park, IL. 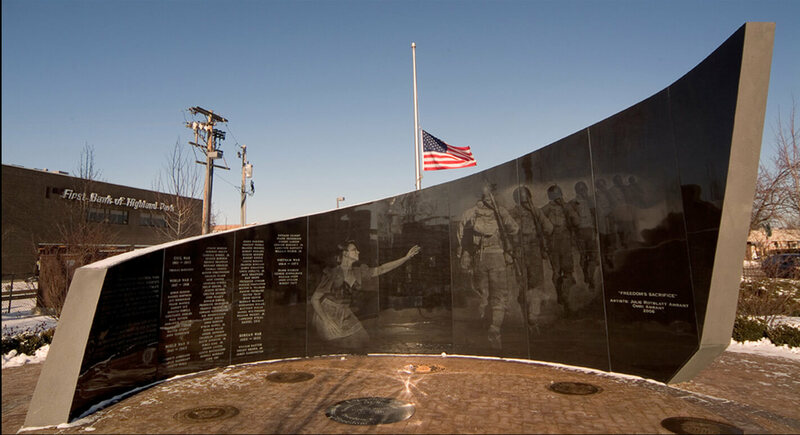 A four-foot by twelve-foot high granite curved wall, incorporating images from WWII is etched into the granite. On one side, a woman reaches out toward the inevitable death of a close family member. 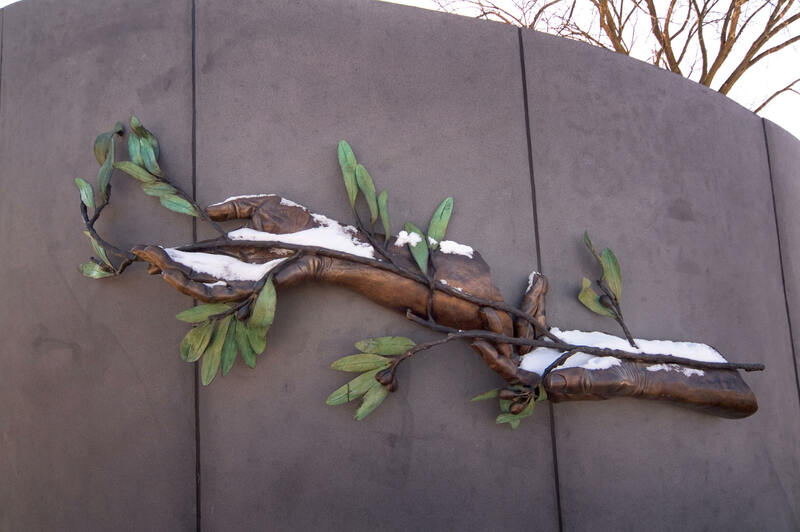 On the other side of the monument are larger than life-size hands holding the olive branch offering a peace gesture. 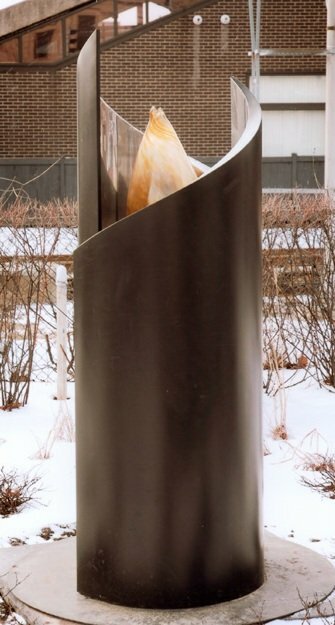 Also incorporated into the monument is an eternal flame, continually lit for those soldiers who are no longer with us.